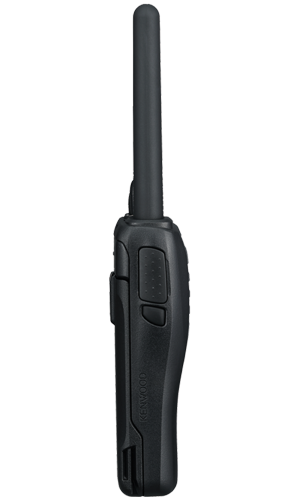 An easy-to-use, license-free PMR446 UHF FM transceiver. Thin and lightweight yet durable design. 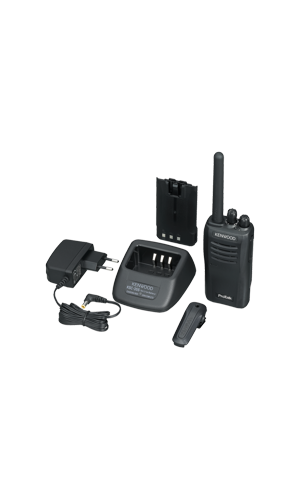 Simple and confident communications. 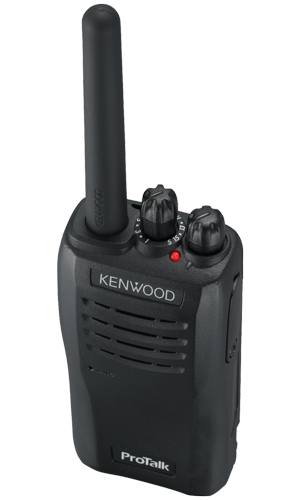 Drawing on Kenwood's expertise as an audio specialist, the TK-3501 offers crisp, clear audio resulting in depandable communications even in harsh operating conditions. The BTL audio amplifier combined with the large internal speaker delivers 1 W speaker output and reliable audio even in noisy environments. 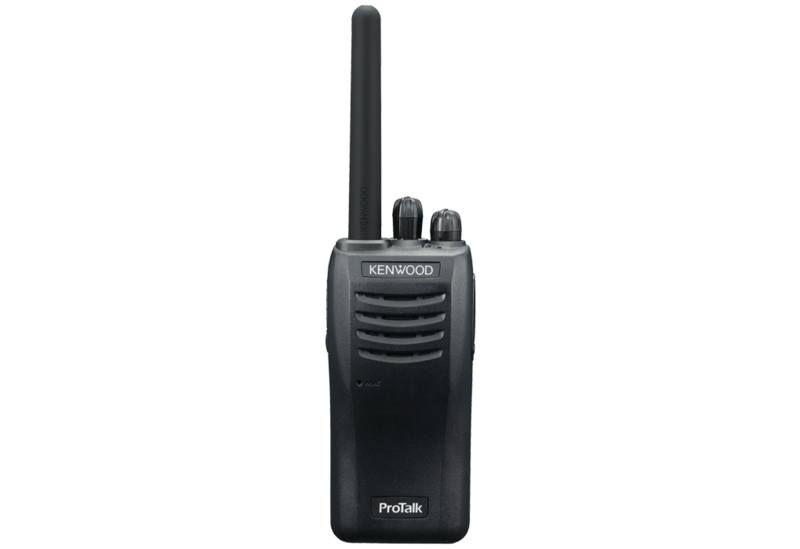 Comes with a KNB-63L battery (W x H X D) : 54.0 x 117 x 25.5 mm; weight : 210 g.
IP/54/55 and US MIL-STD 810 C, D, E, F and G standard-compliant. 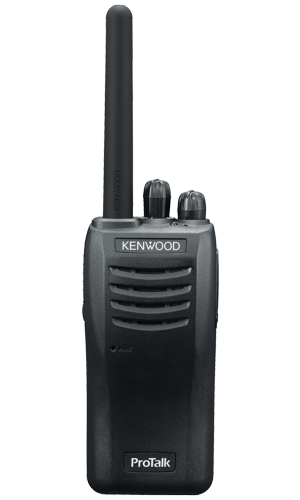 Powerful 1.5 W output with BTL audio amplifier.